Visual Studio Code>Programming Languages>ModSecurity Syntax HighlightingNew to Visual Studio Code? Get it now. 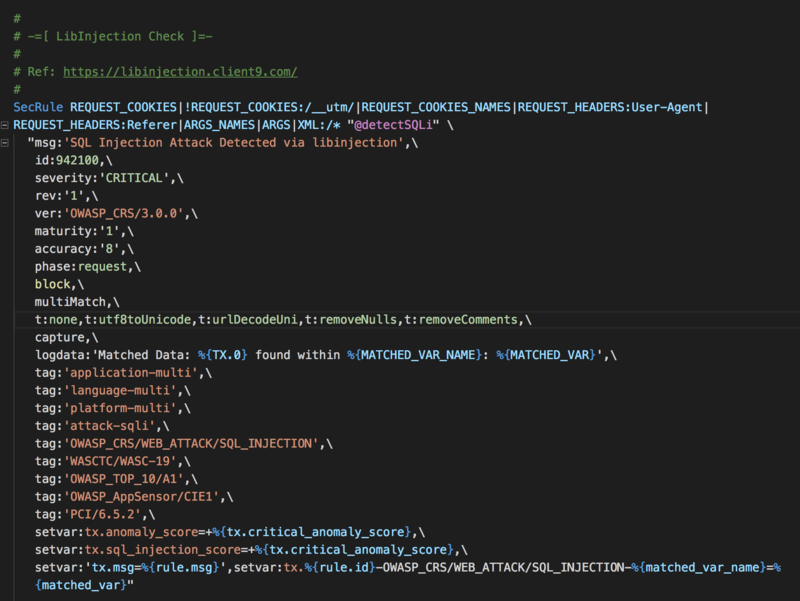 This extension adds language support for ModSecurity configuration files to Visual Studio Code. The language syntax was based off the one from the Sublime Text package lifeforms/sublime-modsecurity.